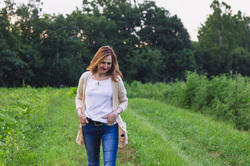 Join us for a Joy Newton Designs fanciful Spring Pop-up Market at Lost Acres Vineyard! Join Joy Newton as she introduces her newest seasonally inspired kitchen textiles. Bring sustainable beauty into your daily lives on Saturday, April 30th, 2016, 12-3pm. Chef Danny Fortin, from @theBarn will be joining us with some bites inspired by Joy's art. Joy Newton, Art for Everyday Living. In a society that reveres complexity, instant gratification, and the next big thing, Joy Newton lauds the simple, the slow, the time-honored. From the farmers and fisherman that cultivate the land and sea, to the flora and fauna that captivate us with their splendor and habitude, to the exquisite harvests that delight our every sense, our eco-conscious line of kitchen textiles celebrates Earth’s uncomplicated pleasures: the people, traditions, and bounties that fill our souls and our tables. 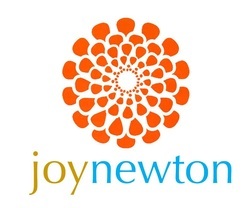 Joy Newton designs are bold and colorful, vibrant and warm, effervescent and joyful, graceful and chic. Our collections serve as the everyday embodiment and exaltation of the world around us: the way the early autumn sun dances off the jewel-toned flesh of an eggplant; the briny, littoral taste of an oyster, tucked into its craggy shell; the long, late-day shadows cast by billowy, watercolor hydrangeas. For us, there is no pleasure too small, and our designs seek to revel in the splendors of them all.